Cancer is one of the most common diseases diagnosed in pets, especially as they age. Unfortunately, this doesn’t make it any easier for those of us who love and care for pets with cancer. Depending on how sick the pet is, daily care can take up a good deal of time and energy, and the emotional turmoil of the whole experience can be overwhelming. Even though you may be caring for a sick pet, life must still go on. In some cases, this means traveling with a pet who has a compromised immune system. With the holidays right around the corner, The Pet Experts are here with some helpful tips to support your pet every step of the way. Having consistent access to medications, as well as a continual evaluation of your pet’s condition and progress is essential to any cancer treatment plan. 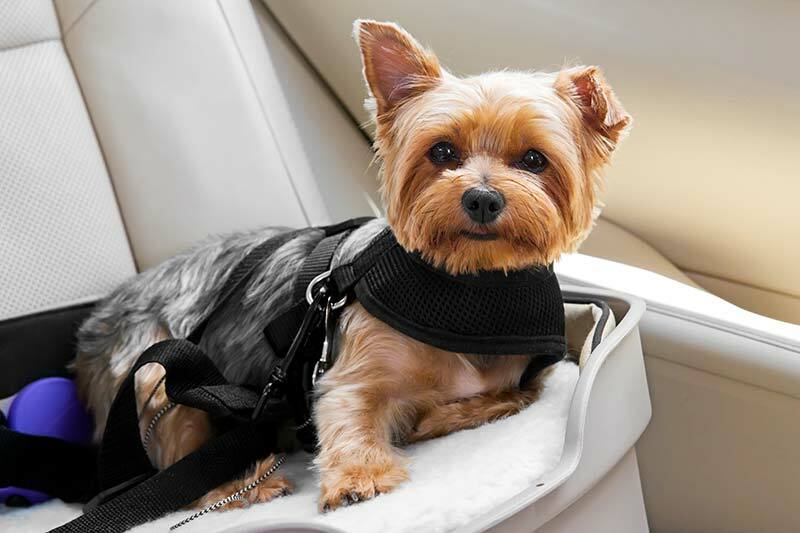 Preparing for your trip should include making sure there’s a reputable veterinary hospital at your destination (or along your travel route if driving). Please schedule a visit with us prior to leaving so we can assess your pet’s condition and ensure they’re strong enough for the trip. We’re happy to provide copies of your pet’s medical records, as well as a written report of their condition and treatment protocol to any participating veterinarians. As you probably already know, pets with cancer have compromised immunity. This should be of particular concern when traveling, as your pet is likely to be exposed to many different people and animals. Flying generally isn’t recommended for sick pets due to the significant stress involved and exposure to a barrage of germs. If you must fly with your pet, please note that for international travel, we ask that you please contact us at least a week in advance to make an appointment for the doctor to see you and for us to prepare the proper paperwork, and assist you with complying with the USDA guidelines. Any time you leave home with your pet, always aim to reduce their exposure to outside pathogens. Stay away from dog parks, boarding kennels, and any area where pets congregate. Wash your hands frequently, as well as your pet’s food and water bowls. Please don’t hesitate to contact The Pet Experts at Elmhurst Animal Care Center for additional information. We’re always here to help!